…courtesy of the Paul Bond Boot Company. This morning I spent daydreaming… what would it be like to wear these boots, faded jeans and a plain white t-shirt? In a airport…headed somewhere warm and dry. Somewhere flat and quiet, where you could see everything coming at you, and it was all going the other way. Sun on my face. Money in my pocket. Time. Yeah, I’d like all that. More designs available at their retail locations. Here’s my travel tip… forget GPS. At times like this, I find my way with DQ. 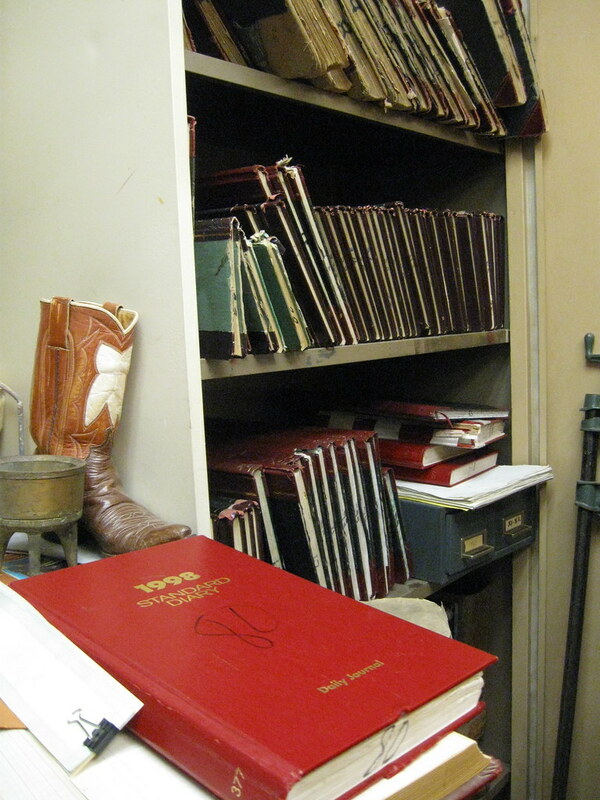 These are some photos I took when I visited Tom Smith in Aspermont, Texas. Tom makes a beautiful sturdy cowboy boot. Sometimes I think hard working cowboys pick such bright punchy colors, so at least some of the color can manage to fight its way through all the dust and muck. Tom’s shop looks small on the outside, but feels big on the inside…I’m not sure how that works.